An updated and expanded edition of this perennial favorite, tracing the line of composers from Monteverdi to the tonalists of the 1990s. In this new edition, Harold Schonberg offers music lovers a series of fascinating biographical chapters. 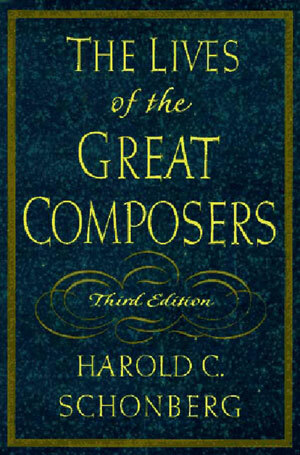 Music, the author contends, is a continually evolving art, and all geniuses, unique as they are, were influenced by their predecessors. Schonberg discusses the lives and works of the foremost figures in classical music, among them Bach, Mozart, Beethoven, the Schumanns, Copland, and Stravinsky, weaving a fabric rich in detail and anecdote. He also includes the creators of light music, such as Gilbert and Sullivan and the Strausses. 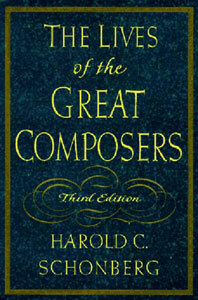 Schonberg has extended the volume's coverage to provide informative and clearly written descriptions of the later serialists such as Stockhausen and Carter, the iconoclastic John Cage, the individualistic Messiaen, minimalist composers, the new tonalists, and women composers of all eras, including Mendelssohn Hensel, Chaminade, Smyth, Beach, and Zwilich. Scattered throughout are many changes and additions reflecting musicological findings of the past fifteen years.